BELLINGHAM, Wash. — SteelFiber graphite iron shafts, the No. 1 graphite iron shafts in golf, chalked up a win at the Garden City Charity Classic on the Symetra Tour. Playing SteelFiber i80 graphite shafts in her irons, the Michigan State University alumna from Edgerton, Wis., finished strong with a bogey-free final round, winning the Garden City Charity Classic by two strokes. The victory was her first career win. SteelFiber shafts were also played by a 2017 LPGA rookie who scored a T2 finish. Aerotech Golf shafts are available as custom options with many nationally celebrated golf club manufacturers such as PXG, Callaway, Titleist, TaylorMade, Ping, Cobra, Bridgestone Golf, Wilson, Cleveland Golf, Miura, Srixon, KZG and Nakashima Golf. 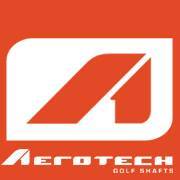 Aerotech Golf shafts are also available through professional golf clubfitters around the world. Aerotech Golf is a proud supporter of the Association of Golf Clubfitting Professionals (AGCP) and the International Clubmakers Guild (ICG).